Tom Brady is best known as a star football player in the major leagues. He is a quarterback for the New England Patriots, and it only makes sense that he would live on the east coast. That is why he and Brazilian supermodel Gisele Bundchen decided to sell their California mansion in a bid to make their permanent home in Brookline, Massachusetts. The Brentwood, CA mansion was placed on the market for a mere $50,000,000 two months prior to its sale to rapper/record producer, Dr. Dre. The final sale price was $40,000,000, and Dr. Dre will enjoy the spacey 14,000 square-feet of posh home. 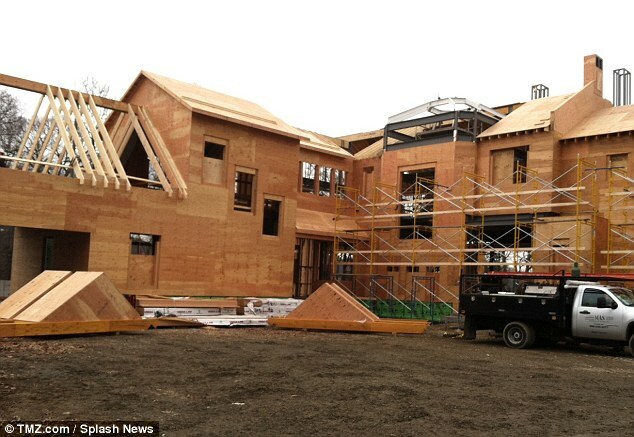 In the meantime, Brady and Bundchen purchased a piece of property in Brookline where construction of the home has already begun. The couple purchased the property in Brentwood in 2008 for a reported $11.75 million dollars before building the custom home. It boasts five bedrooms, a moat and an infinity pool that overlooks the Pacific Ocean. Apple announced that it would purchase Beat Electronics, which is Dr. Dre’s company. The company sold to them for a reported $3 billion dollars. The Apple purchase makes Dre worth an estimated $800 million dollars after the purchase. Tom Brady is reported to have a net worth of approximately $120,000,000, making $26.5 million a year as a football pro. Bundchen is reported to have a total net worth of $290,000,000. Brady and Bundchen reportedly have a home in New York as well. Brady and Bundchen were married in February of 2009 and have two children together. Aside from modeling, Bundchen has also tried her hand at acting from time to time. She has been on the cover of Vogue and Rolling Stone. She also secured a record breaking contract with Victoria’s Secret. She was name the most beautiful girl in the world in 2000.